FAKE VICTIMS OF TERRORIST ATTACKS, WHY? Cédric, Alexandra, Cynthia, Laura, Sasha and Vera… For months, they hoodwinked aid associations and guarantee funds. They all passed themselves off as victims of the terrorist attack in Paris on November 13 or the one in Nice on July 14. They invested in aid associations for survivors, organized “cocktail therapy” and even received compensation. With quite exceptional coolness they described the anguish, the pain, the noise of the bullets, the smell of the blood… until they gave themselves away. 14 fake victims have already been sentenced. Alexandra, 32, is next to go on trial. 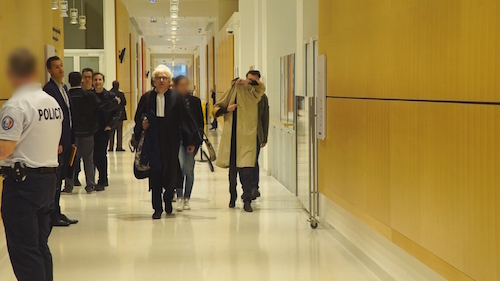 On October 2, this Parisienne was due to explain her actions to the Paris court. Why did she say she was on the terrace of the Carillon on the evening of November 13? How did she make people believe that a bullet went through her arm? How did she receive more than 20,000 Euros from the guarantee fund? But, above all, how was she discovered? How many are there still cheating the system? To understand how some managed to slip through the net, we met investigators from the guarantee fund. Franck and Noémie, survivors of the Bataclan, tell us how they too were fooled by these real crooks. Psychological frailty or greed for gain, who are these fake victims ?